I grew up in Muskoka and spent a lot of my childhood writing in journals, self-reflecting in open fields, and developing quotes and life theories. Personal growth and development has always been a huge part of who I am. I just had no clue what to do with it at such a young age. I left home at 16 years old and moved to the city. I craved a life with more freedom and opportunities. I felt suffocated and trapped in such a small town. I had big dreams from a very early age. My ultimate dream was to become an actress and attend Juilliard in NYC. I enrolled in a performing arts high school in grade 12 in Toronto and majored in drama. I felt excited to be pursuing my passion. After high school I took 2 years off and worked in retail while attending auditions. My acting dream fizzled out and I had no clue what I wanted to do next. During this time I also met my first long-term boyfriend. I decided to go back to school and study Broadcast Journalism. A career I felt would feed my desire to be involved in media and entertainment. At the end of my schooling my boyfriend introduced me to someone who worked at an entertainment show. Despite us breaking up not long after, this helped me secure a full-time position as an entertainment producer. I worked at this show for almost 6 years. During this time I met my 2nd long-term boyfriend. Getting restless at my job I decided to switch to a different show with the same company that focused more on lifestyle content instead of celebrity gossip. While I was working on this show my boyfriend and I broke up. It was a huge wakeup call for me. It forced me to ask myself who I really was and what I really wanted in life. I ended up moving into my own place after living with other people for 9 years. This gave me such an amazing feeling of independence and allowed me to get to know myself again. I was starting to get into a rut at my job. I felt I wasn’t living up to my true potential. While going through this, I produced a show with coach Matthew Hussey who invited me to attend one of his coaching seminars. I ended up having a huge epiphany moment when I walked into the seminar and knew that was exactly what I saw myself doing. I then started researching life coaching. I started to become more aware of who I was, and it allowed me to let go and forgive myself for past mistakes. I was fortunate to get a job working for Matthew Hussey as a coach at his retreats while still working my full-time job. I fell in love with coaching even more. I met another coach at his retreat who introduced me to a certified coaching program. I enrolled in coaching school as soon as I returned from working my first retreat. 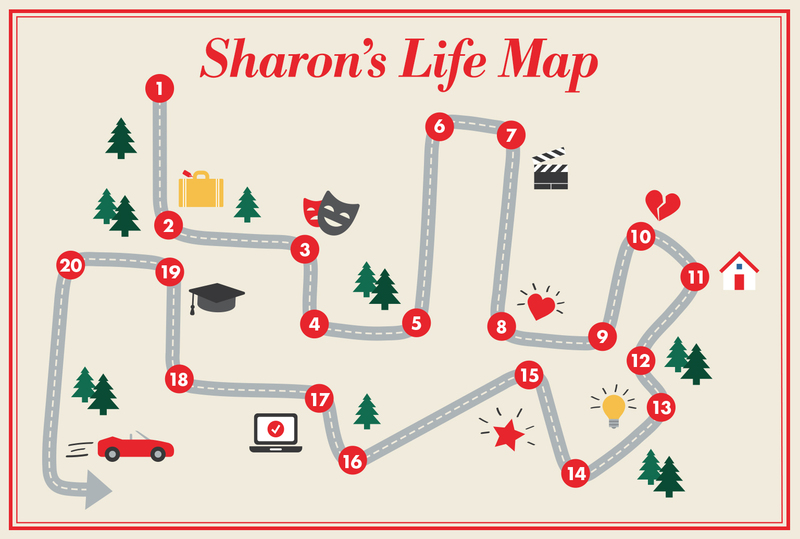 During this time I also started embarking on my own personal development journey I dubbed as #theyearofsharon. Find out more by clicking here. I graduated from coaching school and launched my business right away. Not long after I launched my business, I left my full-time job as a T.V Producer to become a full time Life Coach.